Eyeing up the broken lift, the dilapidated surroundings and the half-hearted 'Kazachie Banya' sign, I muttered, ‘I’m a little nervous.’ We cautiously entered this unknown land of Russian tradition, to be confronted by naked ladies… lots of naked ladies. 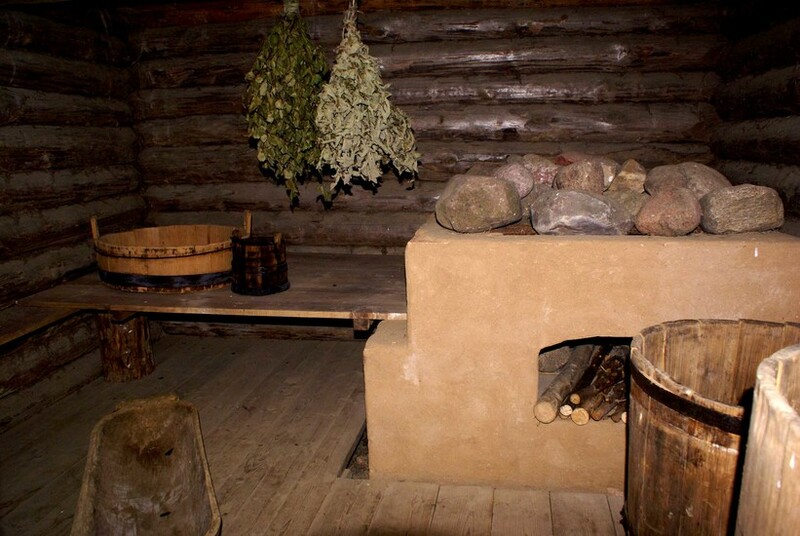 Having paid 50Rbl each to use the banya, reputedly frequented by Rasputin in its younger days, we reluctantly stripped off, gradually realizing as we looked around us that we had none of the necessary provisions: no towels, soap or slippers. Returning approximately six times to the charming, yet bemused, banya assistant (see picture) to hire the necessary items, we noted the sign crossly informing that underwear is ‘categorically prohibited’, dropped our towels and entered the main bathroom. 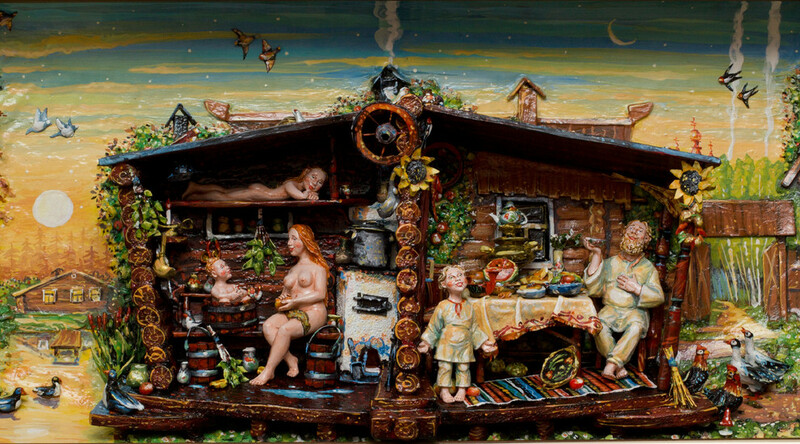 The banya is more than just a ‘bath-house’ to Russians. Although those with no hot water at home use the facilities out of necessity, many visit because they believe that only the highest level of cleanliness can be achieved here. 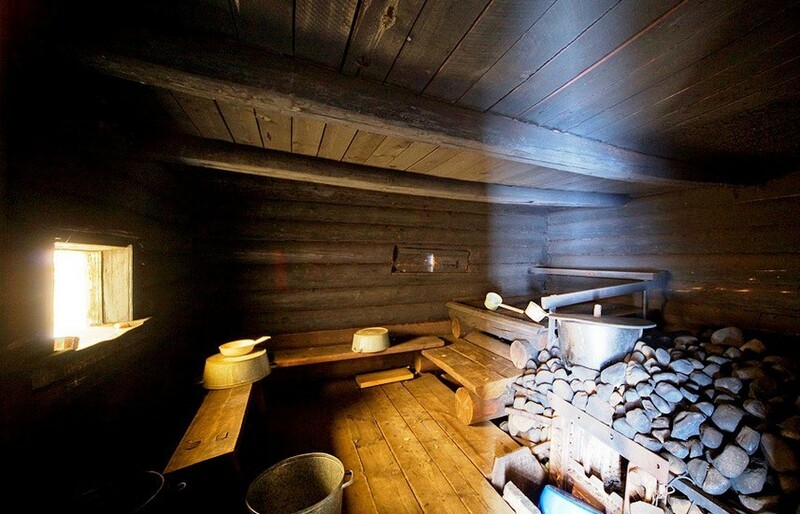 The banya usually consists of a sauna, parilka (a furnace-heated steam room) and cold pool. 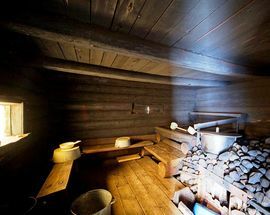 Although there are established traditions, people also develop their own routines and the banya experience is meant to be a personal cleaning ritual. Lingering by the showers clutching our veniki (bundles of dried birch leaves that are used to ‘beat’ out toxins) a tiny Russian lady took pity on us and introduced us to banya etiquette. First, we took a standard shower and poured buckets of water over ourselves, before soaking our veniki in hot water for ten minutes and entering the intensely hot parilka. Our lady periodically disappeared to drink beer and leaving us unsupervised at this moment, it all got tricky. Perched on ‘Metro’ newspapers on the wooden parilka benches (yes, you could read the headlines on our rear ends) with our wet hair sizzling and frying (everyone else, of course, sensibly had hats on), we smothered ourselves in honey and hit ourselves with veniki. 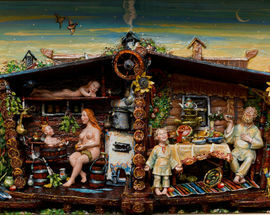 'Is it your first time in Russian banya?' some Russian women asked. 'It's so obvious?' we laughed in reply. With small green leaves glued to my honey-coated self, I felt like a glazed and seasoned roast chicken. A second attempt proved much more successful. We first dried off, working our way up the benches which grow hotter higher up, then manically beat ourselves to the cries of 'Harder! Harder!' 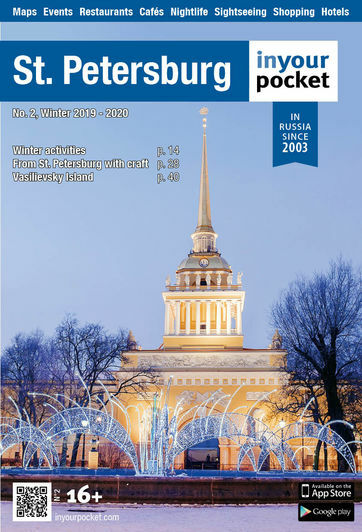 from our new Russian friends. Jumping into the basseyin (icy pool) came last, along with an unintentional shriek. Hardier banya-goers dash out into the snow at this point, but it was our first time after all. 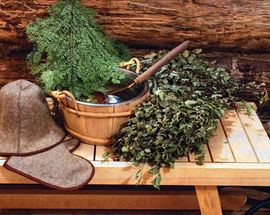 Our banya expert had promised us that ‘the banya makes you feel alive’ and true enough, we really did feel the effect. It invigorated and left us feeling light and refreshed. 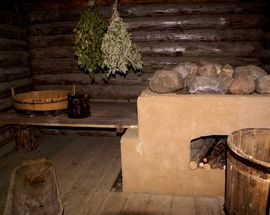 Russians prefer the parilka to the dry sauna, claiming the latter only dries your throat and skin. Indeed, our skin definitely felt smoother when we left, and that was after only one visit. We lost our inhibitions, felt happily removed from the world outside and thoroughly enjoyed the experience. 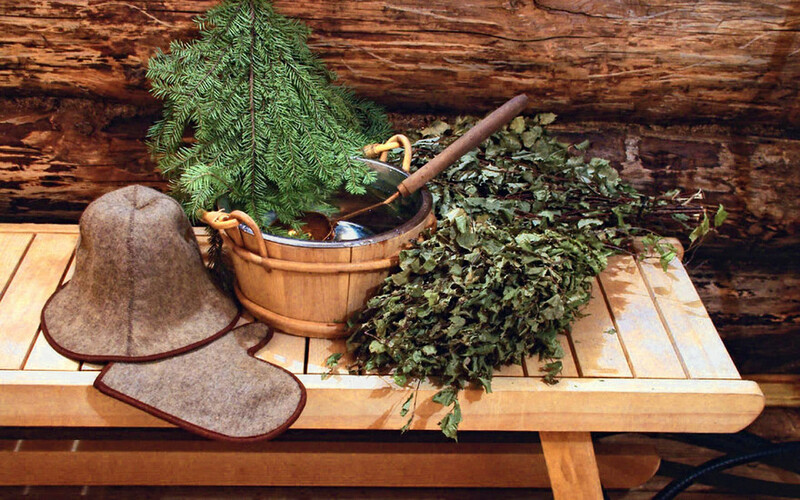 The Russian love for banya is due to the belief in it having a powerful physiological affect, apparently increasing the blood supply to skin, muscles and joints, increasing oxygen levels and purging impurities. Drying off and enjoying a beer from a plastic cup, we were surpised to hear our very own voices saying that we were sad to leave.